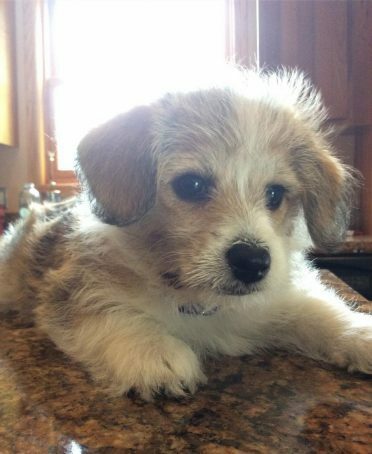 You are here: Home / Breeds / Is the Corgipoo (AKA Corgi Poodle Mix) Right For You? Recently developed in the United States, the Corgipoo is a mix of two popular, and intelligent breeds. I think it’s pretty safe to say that everyone knows what a Poodle is. And most people will picture the Corgi if I mention the canine sidekicks of Queen Elizabeth. Both parent breeds are magnificent canine specimens, making the Corgipoo just as awesome. I’m excited to share all about them with you today. What Is It Like Having a Corgipoo Around? What Grooming Requirements Does This Breed Have? What Should You Feed the Corgipoo? Are You Ready for Your Very Own Corgipoo? Being a mixed breed, the Corgipoo can inherit its most prominent features, whether physical or temperamental, from either of its parents. A body resembling the Corgi, with a soft and shaggy coat like the Poodle. The thick and wiry outer coat layer is waterproof. The undercoat is soft and keeps him insulated. A head is slightly rounded with dark-colored, almond-shaped. Its’ muzzle is fox-like, and the nose is usually black. His ears could be either erect or floppy and rounded. On average, a full-grown Corgipoo is 12 inches (30 cm), but can be anywhere between 10-20 inches (25 cm – 50 cm). As for weight, most pups will be right around 23 lbs (10 kg), or 12-40 lbs (5 kg – 18 kg), when they stop growing. He’s a sweet and affectionate companion. Highly intelligent and always on alert makes them lively and active. They enjoy interacting with their family, including children, and the elderly. When it comes to strangers, he’s friendly and adjusts well to other dogs and pets. Corgis are known for their mischievous, and amusing behavior. They can be troublemakers. So you may find your mix to be the same way. Try not to let his loving demeanor and sweet face get him away with breaking the rules. Check out the comical expression of this pup! If their coat is more like a Poodle’s, then you can count on them being hypoallergenic. Corgi’s coats can cause you to suffer from allergies. Brush their fur daily to prevent tangles and mats. Your Corgipoo will need to see the groomer every six weeks. You can also bathe him at home between professional visits. Tools to keep handy are a slicker brush, dematter, comb, and nail trimmers. As with every dog breed, you need to keep an eye on their nails and trim them when they get too long. Brush their teeth at least twice a week. Regular ear cleaning is a must to avoid ear infections. To satisfy their high energy and playfulness, you should provide them with regular exercise which should be of moderate intensity. A 60-minutes walk or run per day (can be split up), 8 miles per week will allow your little one to be happy and healthy. They can get tired rather quickly, so only use the time frame given as a guide. Let you and your dog be the judge of when he’s had enough. On a rainy day, your Corgipoo will still have the energy to burn off. So he would appreciate it, if you played with him indoors. He would love to go on errands with you, exploring unknown places, and getting attention from new people. So consider taking him with you, wherever dogs are allowed. Their intelligent minds need to stay stimulated. Exercise, along with consistent training will prevent behaviors issues. During training sessions, you should be firm and consistent. Use positive praise and physical rewards. This will help keep him motivated. They enjoy learning, but it will need to be quite stimulating, if not, they may bore and lose focus. As with any dog, socializing at an early age, having them interact with new people and other dogs, will help you develop the perfect Corgipoo. 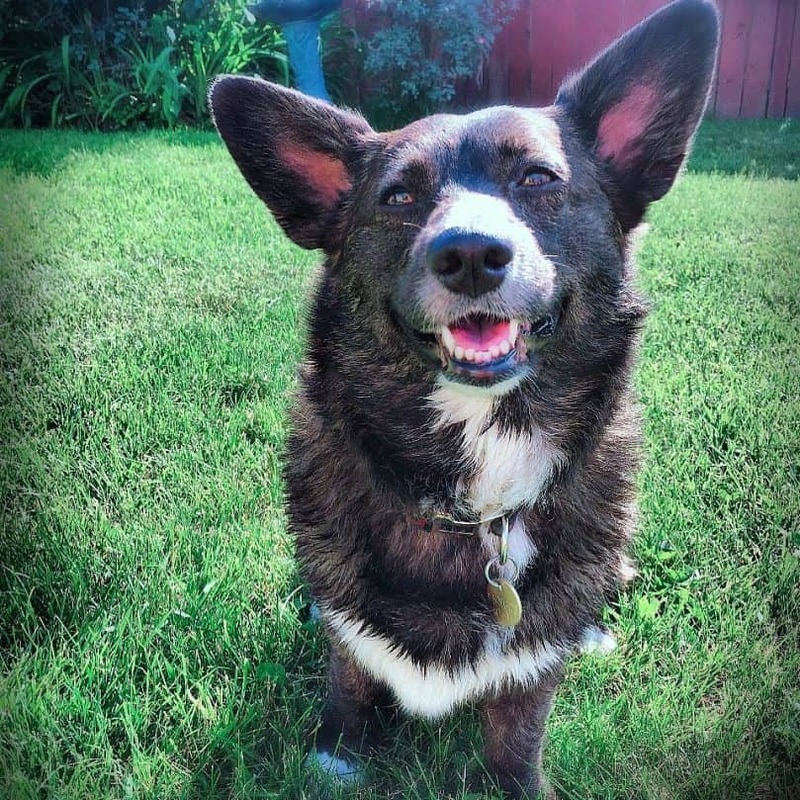 A well rounded Corgi Poodle mix can be used to herd livestock, be a service (therapy) dog, or for sight work. They’ve even been used in military training! Check out the fetching and swimming skills of the Corgipoo in this video! Since this breed of dog is so active, a diet high in protein will give him plenty of energy to make it through the day. Be sure to only feed healthy foods, so he doesn’t become overweight. Corgipoos love to eat, so meals should be measured, and the daily amount of one cup, divided into two meals. Achondroplasia is a form of dwarfism, that describes the malformation of the bones and skeletal structure. This is a genetic disease that Corgis are known to have. It’s responsible for their bodies being longer than their height. Living with this condition causes Canine Degenerative Myelopathy (CDM) later in life. CDM is a progressive disease. The first signs may be the loss of coordination in the back legs. Dogs will wobble when they walk or drag their feet. In as little as six months, from the onset of CDM, the dog can become paraplegic. Blood disorders, such as Von Willebrand Disease. The Corgipoo will be happiest living with moderately active seniors, single adults, or families. Houses with yards make an excellent home. However, apartment living is suitable. Just be sure to provide them with a sufficient amount of time outside, daily. He’ll do well in most climates, as long as it’s nothing too extreme. Remember, they don’t like being alone for too long. 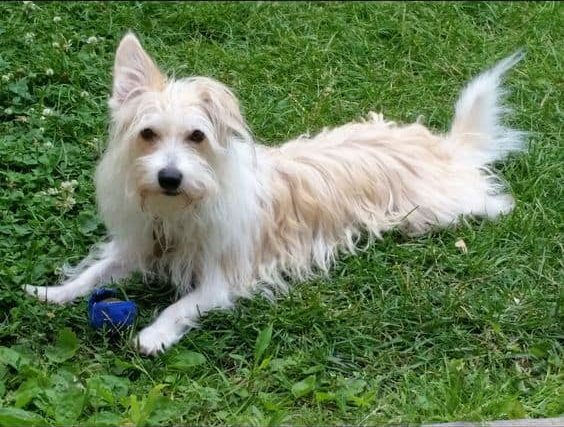 So before getting a Corgi Poodle Mix, be sure you have room in your schedule to spend quality time with your canine companion. Don’t get this breed if you want a guard dog. The Corgipoo is not likely to alert you of any intruders. The American Kennel Club doesn’t recognize mixed breeds in their standard registry. For being such a recently developed breed, Corgipoos are pretty easy to find. Rescues or adoptions can be done through Poo Mix Rescue. As for breeders, you can check out My Cultured Palate in Texas. Infinity Pups out of Pennsylvania has listings available throughout the United States. 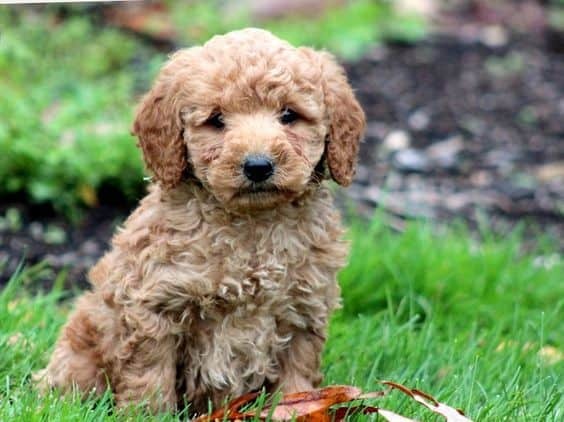 A Corgipoo puppy will set you back about $350 to $850, with the average price being $775. As we’ve learned, the great qualities of this breed include an adorable and quirky demeanor. They’re also highly intelligent. But, the Corgipoo has demands which include requiring your companionship. And the older they get, the more prone they are to acquiring serious health problems, leaving them to depend on you even more. I urge you to consider all these things when deciding if the Corgipoo is the right breed to bring into your life. 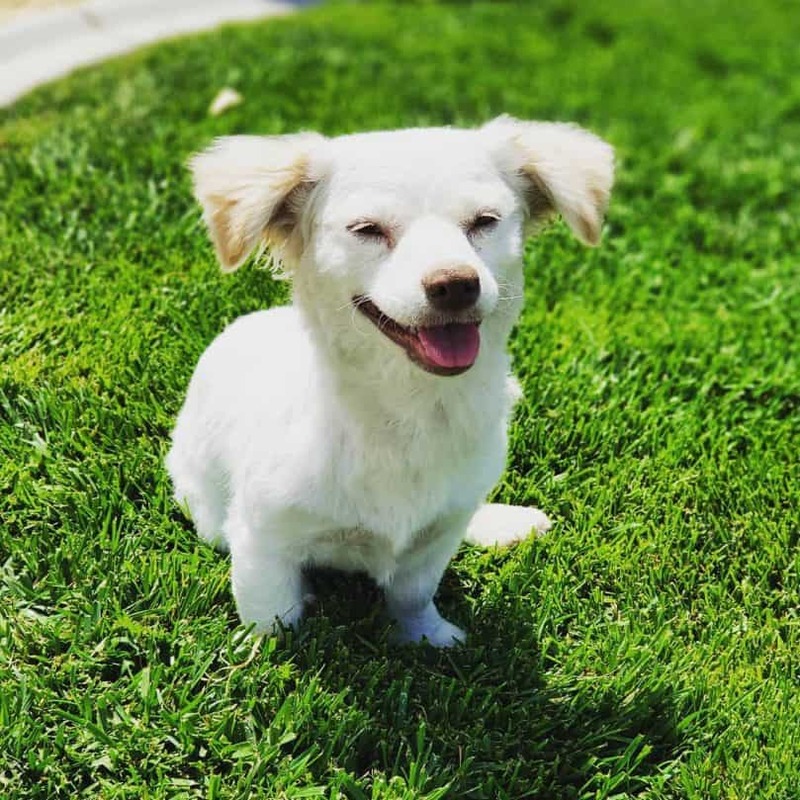 Do you have any experience with the Corgi Poodle Mix? Leave us a comment below!